Thinking about selling your home in Tampa, FL? 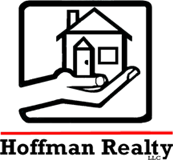 Hoffman Realty specializes in residential sales, leasing and property management in Tampa Florida, and the surrounding communities. If you’re a landlord considering renting out a single family home, condo or townhouse in or around Tampa, contact us today to discuss your situation and let us identify a custom leasing solution.